Reader Matt F. contributed this confusing chart from Wired, accompanying an article about Netflix viewing behavior. Matt doesn't like this chart. He thinks the main insight - most viewers drop out after the first episode - is too obvious. And there are more reasons why the chart doesn't work. This is an example of a high-effort, low-reward chart. See my return-on-effort matrix for more on this subject. The high effort is due to several design choices. The most attention-grabbing part of the chart is the blue, yellow and green bars. The blue and yellow together form a unity, while the green color refers to something else entirely. The shows in blue are classified as "savored," meaning that "viewers" on average took in less than two hours per day "to complete the season." The shows in yellow are just the opposite and labeled "devoured." The distinction between savored and devoured shows appears to be a central thesis of the article. The green cell measures something else unrelated to the average viewer's speed of consumption. It denotes a single episode, the "watershed" after which "at least 70 percent of viewers will finish the season." The watershed episode exists for all shows, the only variability is which episode. The variability is small because all shows experience a big drop-off in audience after episode 1, the slope of the audience curve is decreasing with further episodes, and these shows have a small number of episodes (6 to 13). In the shows depicted, with a single exception of BoJack Horseman, the watershed occurs in episode 2, 3, or 4. Beyond the colors, readers will consider the lengths of the bars. The labels are typically found on the horizontal axis but here, they are found facing the wrong way on pink columns on the right edge of the chart. These labels are oriented in a way that makes readers think they represent column heights. The columns look like they are all roughly the same height but on close inspection, they are not! Their heights are not given on top of the columns but on the side of the vertical axis. The bar lengths show the total number of minutes of season 1 of each of these shows. This measure is a peripheral piece of information that adds little to the chart. The vertical axis indicates the proportion of viewers who watched all episodes within one week of viewing. This segmentation of viewers is related to the segmentation of the shows (blue/yellow) as they are both driven by the speed of consumption. Not surprisingly, the higher the elevation of the bar, the more likely it is yellow. Higher bar means more people are binge-watching, which should imply the show is more likely classified as "devoured". Despite the correlation, these two ways of measuring the speed of consumption is not consistent. The average show on the chart has about 7 hours of content. If consumed within one week, it requires only one hour of viewing per day... so the average show would be classified as "savored" even though the average viewer can be labeled a binge-watcher who finishes in one week. [After taking a breath of air] We may have found the interesting part of this chart - the show Orange is the New Black is considered a "devoured" show and yet only half the viewers finish all episodes within one week, a much lower proportion than most of the other shows. Given the total viewing hours of about 12, if the viewer watches two hours per day, it should take 6 days to finish the series, within the one-week cutoff. So this means that the viewers may be watching more than one episode at a time, but taking breaks between viewing sessions. PS. Above image was replaced on 7/19/2017 based on feedback from the commenters. Labels and legend added. The redone chart is also a bit unclear. What's the x-asis again? I agree with the previous commenter. While the initial chart is confusing and far too busy, I can at least work out what it's trying to tell me, given enough time. 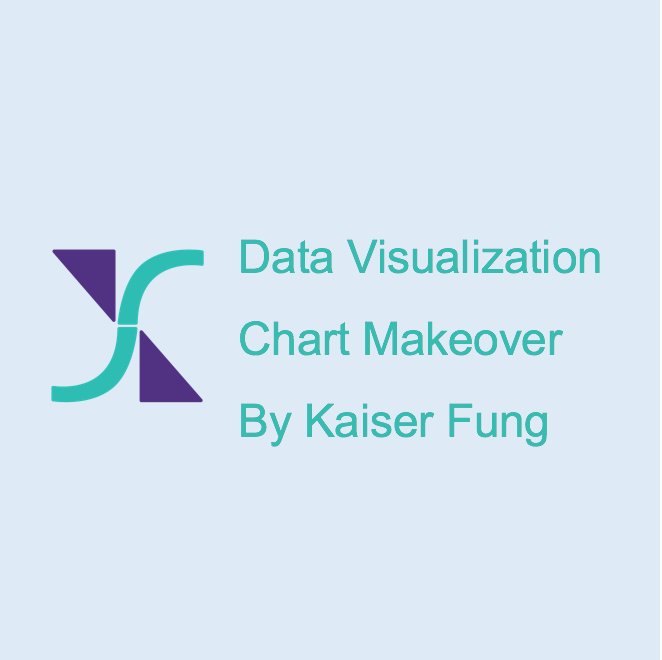 However, the redone chart is objectively worse, given that you could never figure out what it's trying to display without a title or x-axis label. YV/MH: The chart wasn't intended as a direct replacement but I have added the several missing elements so it is closer to finished. Also, this is still a work-in-progress because the story line related to Orange is the New Black would need some further development. I wanted to show the importance of finding a story in the data. The original version can't be salvaged any other way.